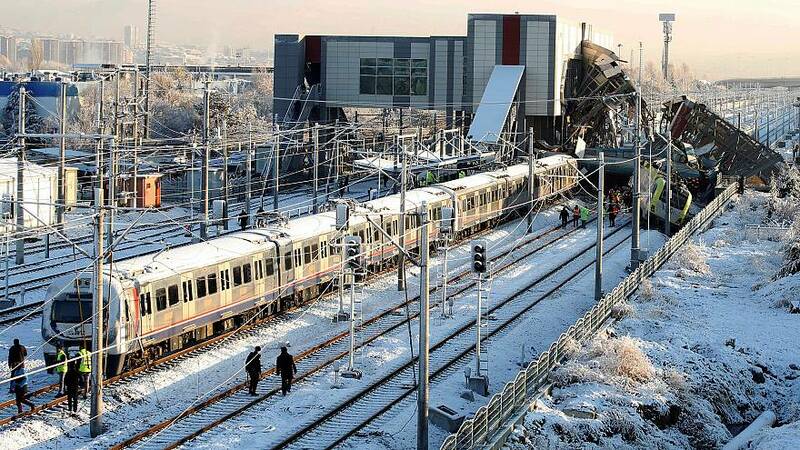 Ankara's governor said the train collided with the engine which was checking the tracks at the city's small Marsandiz station at 6.30am. He said rescue teams were dispatched to the scene "immediately". At the time Vasip Sahin, the Governor of Ankara spoke, it was known four people had died and 43 were injured. The high-speed train from Ankara to the central Turkish city of Konya does not stop at the station.